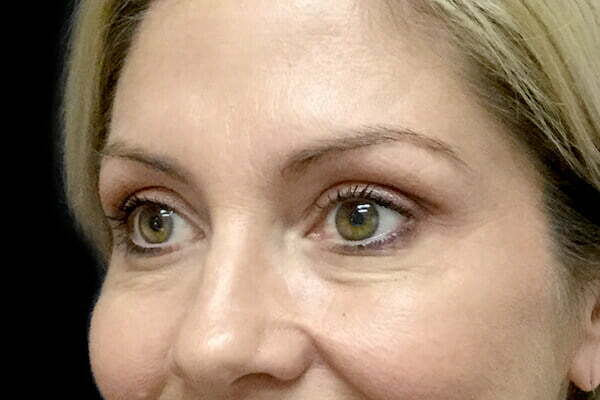 It’s all about balance - we aim for a naturally rejuvenated result, without the overdone or frozen look. How do crows feet injections work? The orbicularis occuli is a ring-shaped muscle that runs around the eye. Wrinkle injections serve to weaken the muscle activity in that area, softening the contractions of the orbicularis occuli muscle at the side of your eye. 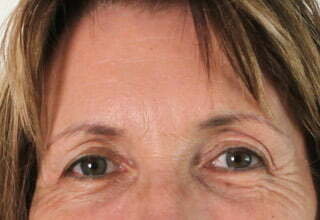 Dynamic lines are the lines that can be seen only when you move your face, such as smiling. Over time, dynamic lines turn into static lines - which are the lines that are always there, even when your face is resting. 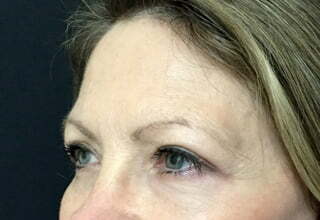 In the case of crows feet, muscle relaxing injections are injected into a small part of the muscle. Over-injecting the muscle can cause problems with eyelid function and appearance, so it is important to consult an experienced clinician. What will happen during my consult? 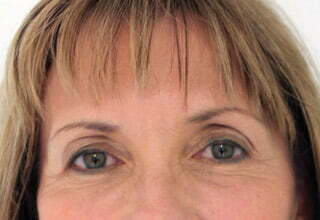 Your clinician will examine your face - and particularly observe any hollowing of temples, eyelid droop or asymmetry. They will discuss your perception of your face and skin, and your desired outcome from the treatment. They will also discuss the potential side effects and complications of the treatment, and your post care instructions. You will be provided with an estimate of the number of ‘units’ of the product that are required to create an improvement in your crows feet. If you wish to proceed, the next part of your consultation will take less than 5 minutes. You will have pre-treatment photos taken and your crows feet will be cleaned with alcohol. The clinician will ask you to smile while they identify the ideal injection points. The injections themselves take a matter of seconds. If this is your first treatment, a review appointment will be booked in 2 to 3 weeks to assess your results and see if any adjustments need to be made; this won’t be required for subsequent treatments. How much do crows feet injections cost? Estimates are available upon request (click the contact button above or email info@drdavidsharp.com.au). In most cases, crows feet injections typically cost between $150 to $200. How long until I see my crows feet reduction results? No, you can go back to work and normal activities straight after your cosmetic injection. There may be some slight small pimple-like lumps under the injection sites around the sides of your eyes, which quickly dissipate after the treatment. During your consult your clinician will explain your post treatment care instructions, and you will also take home a written post care sheet. It is most important not to rub, massage or place pressure on the injection site for 4-6 hours after the treatment - to ensure the injectable produce stays exactly where it is meant to be. Rubbing it or spreading it to another area can cause weakening of nearby muscles that can cause unintended ptosis, puckering or drooping. It’s important to follow your clinician’s advice and also read your take-home post treatment care instructions carefully. 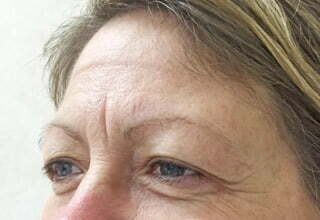 How much improvement will I get from crows feet reduction injections? The extent of improvement in crows feet depends on what you start with. 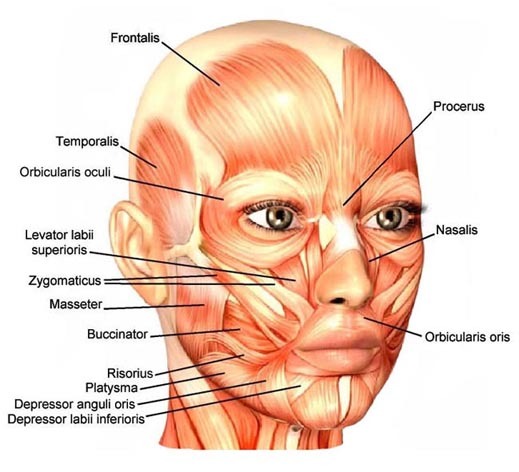 If your skin has just fine lines when you are not smiling - but has lines when you do have movement (dynamic lines) - the injections will reduce the activity of the muscles and your crows feet will be smooth. However if you have deep wrinkles and lines in your eye area when you aren’t smiling (these are called ‘static’ lines), the lines will be softened and less visible, but not disappear altogether. Most patients find the injections are so small, quick and tolerable, they don’t require any topical anaesthetic - however we are more than happy to apply our prescriptive topical anaesthetic, if requested. Please let us know if you would like this when booking your consultation, so we can schedule you to come into the clinic 30 minutes prior to your consultation, allowing plenty of time to apply the anaesthetic and for it to take effect before your treatment. Feel free to contact us today for more information!